Crown Cashmere Group is a company that integrate the whole cashmere industrial chain,including producing and service.Crown Cashmere Group main business lines are Cashmere material ,Cashmere yarn,cashmere products design and producing. 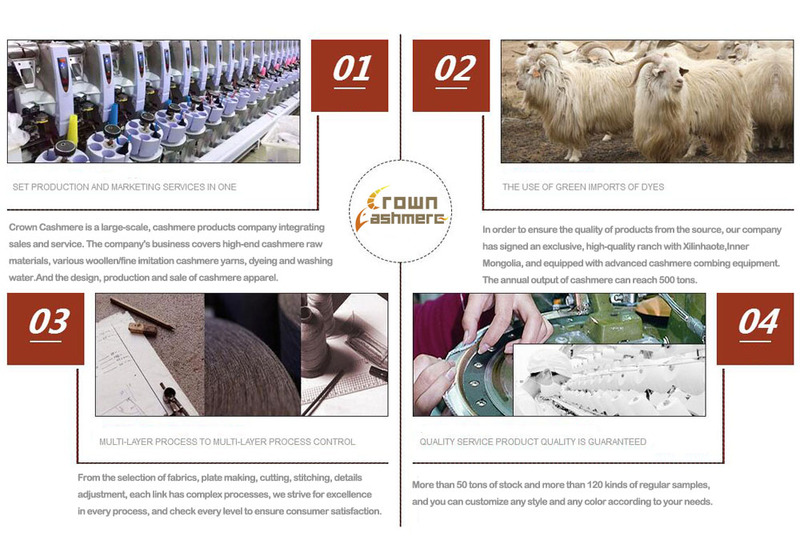 Crown Cashmere Group strives to the ideal "Customer First".We aim to provide the best products and service for our customers.To ensure the quality,we set contracted rangelands in Tibet,Xinjiang ,Inner Mongolia. Crown Cashmere Group’s future will be a future that undertake the social responsibility and mission,a future full of ambition,a future that devote to employee's happiness, keep advancing and keep surpassing !